December | 2015 | I run. Quite a lot. It makes me happy. So, as the year comes to an end and we start to look forward to an exciting new year ahead, inevitably we start to take a look at how things have gone. A new parkrun PB at Southampton parkrun of 22.23. A new 10k PB at Mel’s Milers 10k of 47.31. A new half marathon PB at Brighton of 1.43.22. A new longest distance ever run of 61km at the Downslink Ultra. The most surprising of these was the half marathon. I had this 1.45 barrier in my head that was a stupid psychological obstacle to going more quickly. 2015 also saw personal bests at the Darkstar Marathon, 3 Forts and many other smaller events. We discovered the wonder of White Star Running events and loved the inaugural Moyleman Marathon. Of course, there was the Green Belt Relay, which was another roaring success. The year was injury free (apart from the odd grumble from my knees) and I kept to my promise of training smarter. This obviously works. Less miles of training, more personal bests and less injuries. Sadly the end of the year has been halted with a bout of anxiety. It’s been going on for around 3 months now. It’s made things pretty tough at times. It doesn’t affect work, which is very lucky and I’m pretty good at putting on a positive face in public, but it’s really unpleasant and has seriously affected my eating and sleeping. It feels like I’m starting to turn the corner at the moment. I’m starting to train again, which is positive on many fronts, as preparation for the Brighton Marathon is just round the corner. 2016 is going to be a big year. 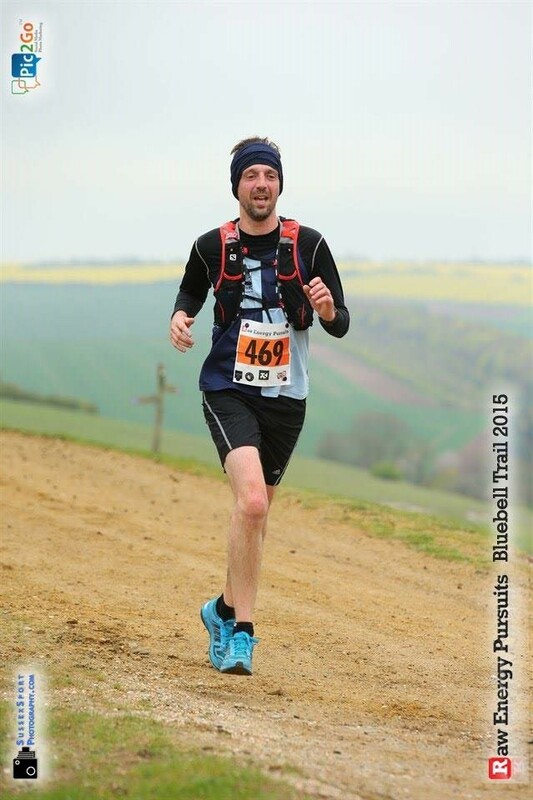 Brighton Marathon sub 4 attempt plus back to back marathons at Bad Cow plus my first ever 50 mile race at the Chiltern Wonderland. The diary is full with 8 marathons and countless other races. In the build up to Brighton, I have decided to write weekly about my training and eating. There are 2 reasons for this. Firstly, I’m changing the way that I train and want to document it. I’m a skinny bloke, my core strength is poor and my lack of power in my glutes are hindering my performance. I have already started to work on improving this, so want to document how this goes. I am also going to monitor my food. There are 2 reasons for this. The anxiety is at it’s highest in the morning, so I often skip breakfast during these periods. Monitoring and logging what I eat will help me to be more disciplined with this. Secondly, as a vegetarian, I want to be certain that I am taking on board what I need to take on and disprove the notion that vegetarians can’t get enough protein. So here goes. It will be about 18 weeks of weekly blogs. I hope that it won’t be too dull for anyone who reads it. I’m looking forward to making it happen and cracking this 4 hour marathon chip that is on my shoulder. That’s it for now, Neil.